One of the major flaws of the Nintendo Wii console is that a component cable isn't included in the box. 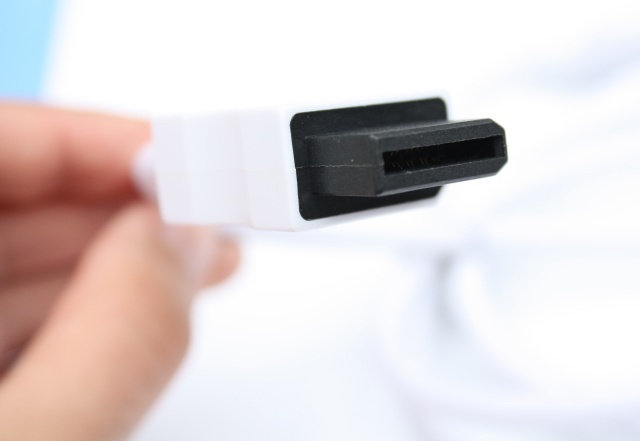 If you're still using an old CRT TV it doesn't really matter, but if you have an LCD or Plasma TV this cable is a must have because the default composite and SCART connectors that ship with the Wii won't give you the best visual experience. 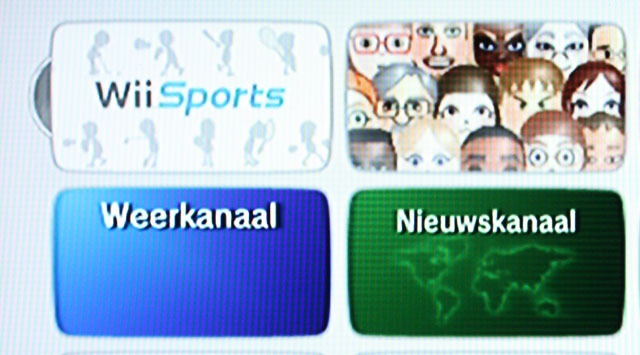 Considering that LCD HDTVs have become the standard, it's a real shame that Nintendo still doesn't ship component cables with the Wii. Then again, it's much more profitable for Nintendo to provide only the most basic cables and charge you another $29.99 (29.99EUR) for the official Wii component cable. The official cable from Nintendo costs a lot of money, but fortunately there are a lot of third parties that sell these cables, often for only a third or sometimes as low as a tenth of the price of the official cable! While the cheapest cables can be a gamble because some may suffer from problems like shielding issues, most of these cables are just as good as the official Nintendo cables. 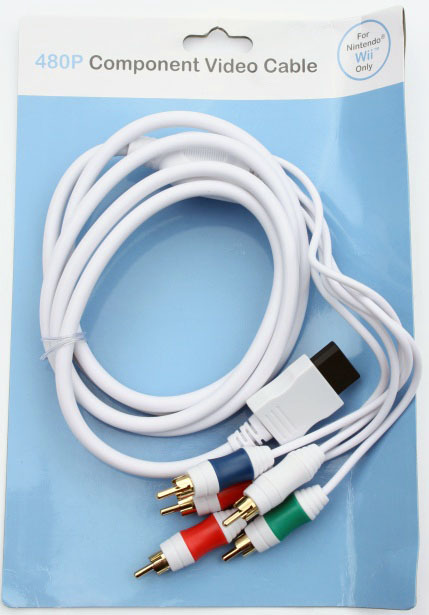 In this review I'm taking a look at the 480P Component AV Audio Video Cable for Nintendo Wii from BudgetGadgets.com, this cable can be bought on the company's site for $11.12 with free shipping. The cable from BudgetGadgets.com looks somewhat more visually pleasing than the official one from Nintendo, not that it really matters though as these kind of cables are mostly hidden from view. While these five connectors go into the component inputs of your TV. 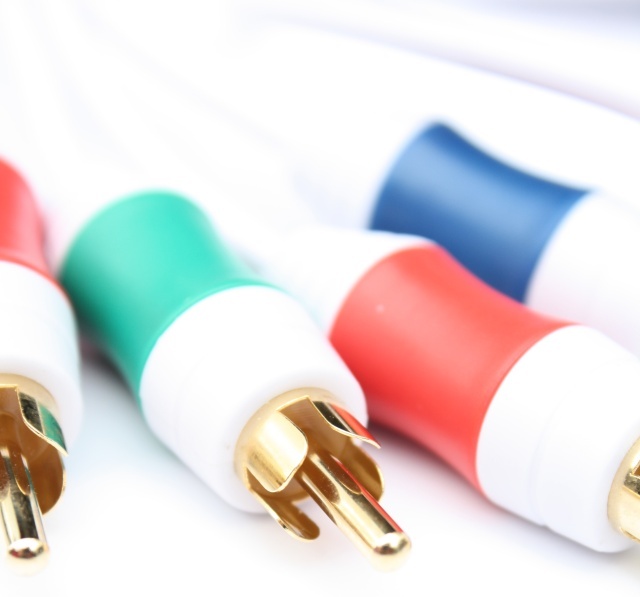 There are three plugs for video and another two for audio, the installation is pretty straightforward, just make sure that you don't mix up the red audio and red video plugs. 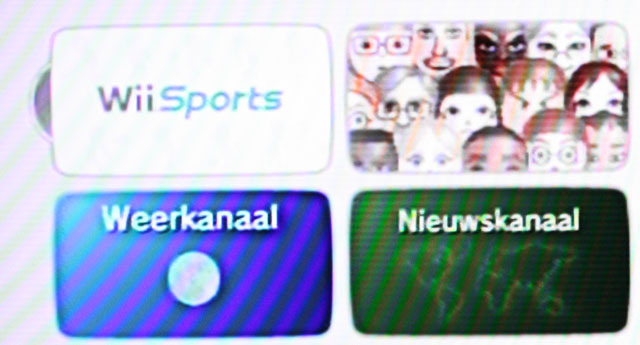 After installing the cable and booting up your Wii the console should automatically select the 480p EDTV/HDTV mode, but it doesn't hurt to double check this in the Wii System settings menu. The difference between the included composite cable and the component cable is massive. Basically, text looks a lot sharper, the images are much sharper, the colors look more vibrant and motion gets more fluid. 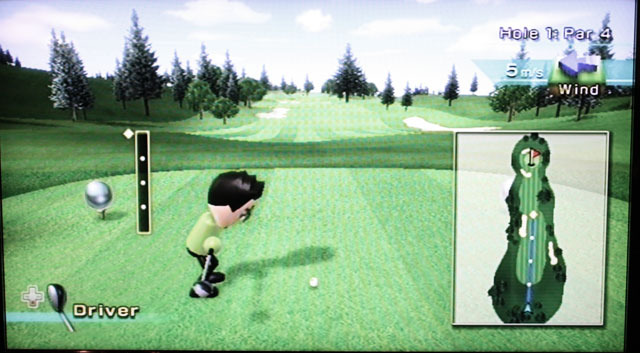 As soon as you boot up the Wii you'll notice that the menu looks a lot sharper, and when you start playing some games you'll realize that you've been missing out on a lot if you've been using the bundled composite cables. 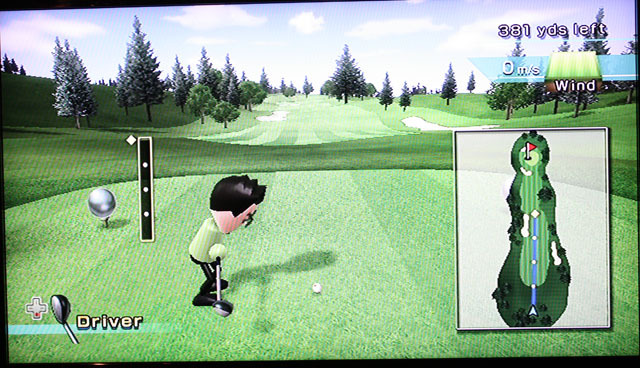 To give you some examples, Wii Sports looks a lot sharper with the component cable, Zelda: Twilight Princess looks a lot prettier with less blurriness and enhanced colors, the colors in Skate It no longer look muddy and the in-game text in Call of Duty: World at War finally gets readable while the colors no longer look as dark as before. The only downside is that you see more jaggies because the sharper image reveals the lack of anti-aliasing. Here are a couple of photographs to show you the increased sharpness of the component output over the composite cable. Taking pictures of LCD displays isn't easy though, thus the colors and brightness of these screenshots aren't the same as the output on my TV. 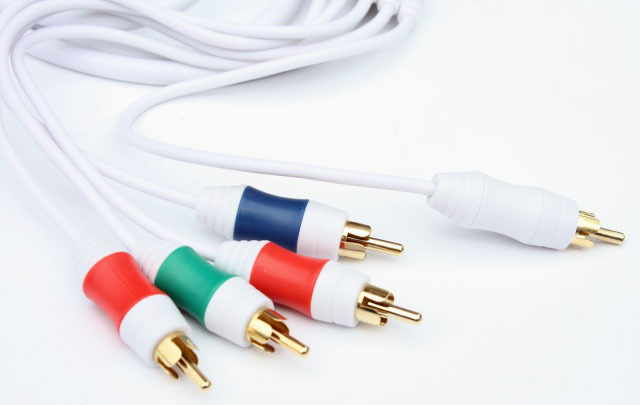 If you have a HDTV and are still using composite cables on your Wii I highly recommend you toss these in your drawer and buy a Wii component cable as soon as possible. Without the component cable your graphics won't look as vibrant and the image will be a lot fuzzier than it's supposed to be. Don't expect your Wii to get Xbox 360-like graphics with these cables, but the difference in graphics quality definitely makes component a must have upgrade. I give the Wii Component Cable from BudgetGadgets.com a 10/10.